This course presents the fundamentals of Semantic Web technologies, i.e. 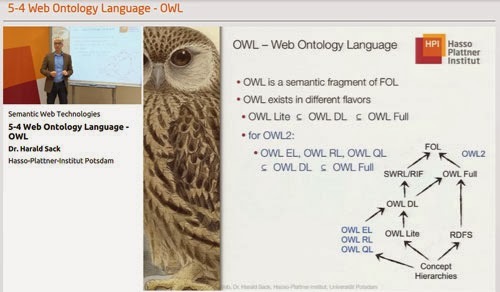 how to represent knowledge and how to access and benefit from semantic data on the Web. It is lectured in English by Dr. Harald Sack, a senior researcher at the Hasso Plattner Institute of Potsdam, and is available on the openHPI platform.